No doubt about it: this adorable baby has better hair than you. Mackenzie Kaplan of Redwood City, California, posted a photo of her 2-and-a-half-month-old daughter, Isabelle, on Facebook and Instagram two weeks ago, according to ABC News. But one of Kaplan’s cousins thought that Isabelle’s luscious locks deserved a wider audience, and posted the photo to Reddit. “I can kiss my days of being the cutest relative goodbye,” he wrote. 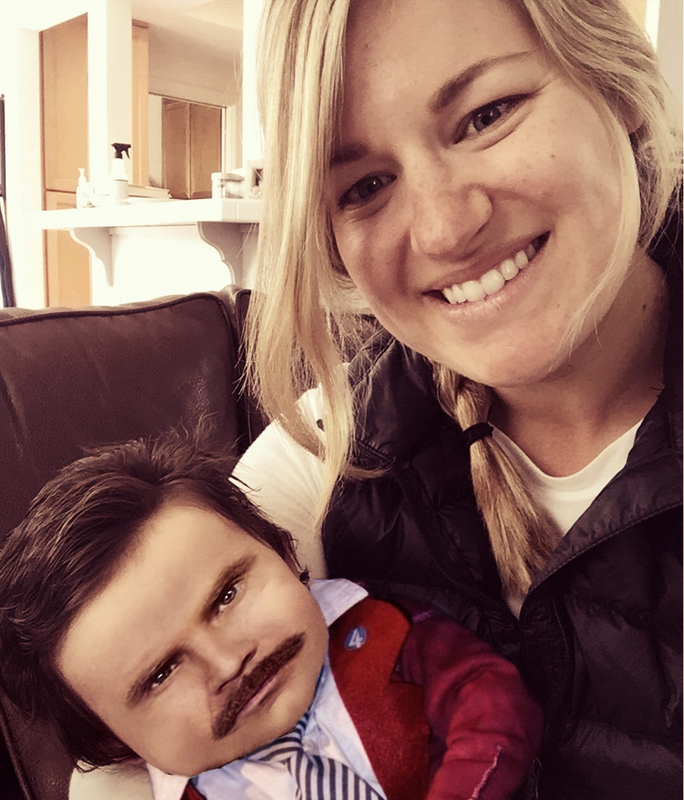 Isabelle has since become a viral sensation, inspiring people to use Photoshop to portray the little girl as everything from Ron Burgundy to Wolverine. The proud parents appeared on Good Morning America Friday, claiming that they do nothing to specially style their daughter’s hair.